Getting the sticky pockets you need for filing and organizing is easy at Binding101. 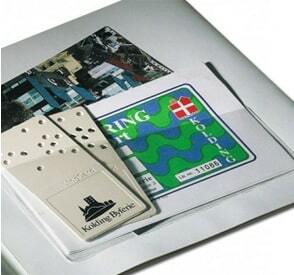 We stock several sizes of pouches with a self-adhesive backing that lets you stick them wherever you need. 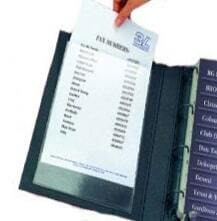 The business card pocket size is actually our top-selling product across all categories. Easy to use, just peel off the liner on the back and press them onto whatever you want to apply them to. 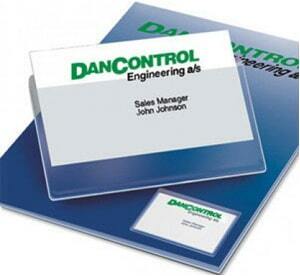 • On Ring Binders - Place on the inner pocket or back cover to display your business card easily. Use the spine pockets to label binders that don't have clear overlay, or even ones that do as a 2nd pocket for sub-labeling. 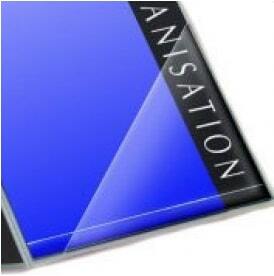 • On Pocket Folders - Some folders have slits, but they aren't as secure as a pocket. 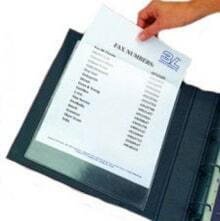 • On Index Tab Dividers - Add pockets to your index tab dividers for additional information that you don't want to hole-punch. • On Report Covers - Customize binding report covers even further with a stick-on pocket so your staff can use their own individual business cards. • On Warehouse Shelving - Add to warehouse shelves to organize and make referencing and finding the product your staff needs easily. • On Animal Crates at Rescue's - Easily label cages at the shelter that can be changed out as they are adopted, as well as add special dietary notes, medical needs, etc. 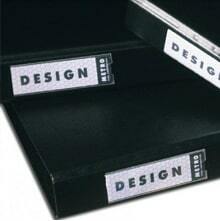 • On Boxes - Use them on storage and filing boxes to properly label contents.